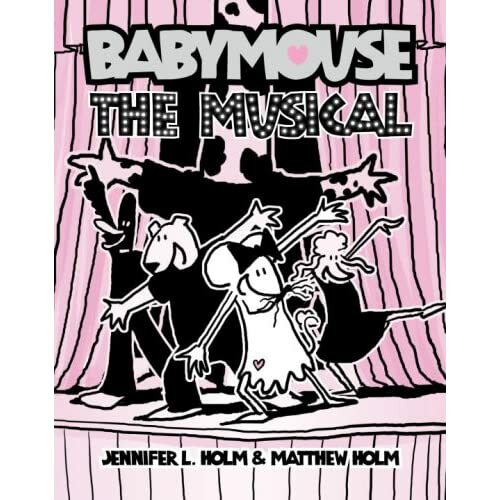 Well, it's up on Amazon, so I might as well show it off here—the cover for book #10, Babymouse: The Musical! It's been a good day in Babymouse world. There are a number of cool things happening on a number of fronts, none of which I can really talk about at this point, unfortunately. 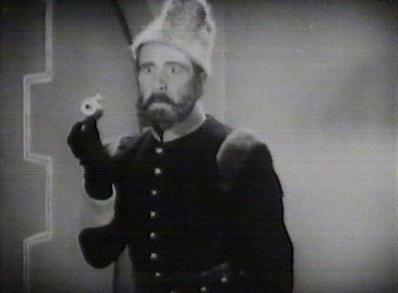 But the thing that was just the capper, was the post from Library Voice entitled, "What’s the Deal with all these mice?" It made me laugh harder than I have in a while. A mom, whose 9-year-old daughter is a regular at my branch, came up to the Children’s Information Desk recently and threw down several books on my desk: a few Babymouse volumes and MouseGuard: Fall 1152. After drawing my undivided attention by slamming said books on my desktop, she looked at me expectantly. Keep in mind that this is a relatively nice, mild-mannered woman who generally speaks softly and has never had an issue with me or the library in the past. “I’ll tell you what’s going to happen. A child will see a mouse at home run across the floor and they might go to pick it up or play with it. Because they think it’s cute. Because of all this.” [gesturing to the pile of Babymouse books]. The moral of the story: Don't touch Babymouse. UPDATE: More coverage over at lisachellman.com. As the only girl in a household of boys, Jennifer Holm grew up learning how to spit, climb trees and play kickball. 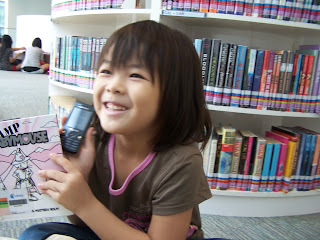 Like her four brothers, she also read lots of comics, especially those starring superheroes like Superman and Batman. But she often wondered why there were no women superheroes except for Wonder Woman. "I just couldn't identify with her," Holm said. "It might have been her bustier (a type of push-up bra top) -- or maybe it was the go-go boots." I think it's cute that she has to identify what a "bustier" is for readers. Oh, Madonna, where have you gone?? UPDATE: This story also made it to the Pittsburgh Post-Gazette. At any rate, I like cartoons that look like they were either scribbled on the back of a napkin or drawn by a five-year old, but are still funny. That last part's important. Otherwise you end up with stuff like Home Movies. Oog. That animation's a headache without any funny. 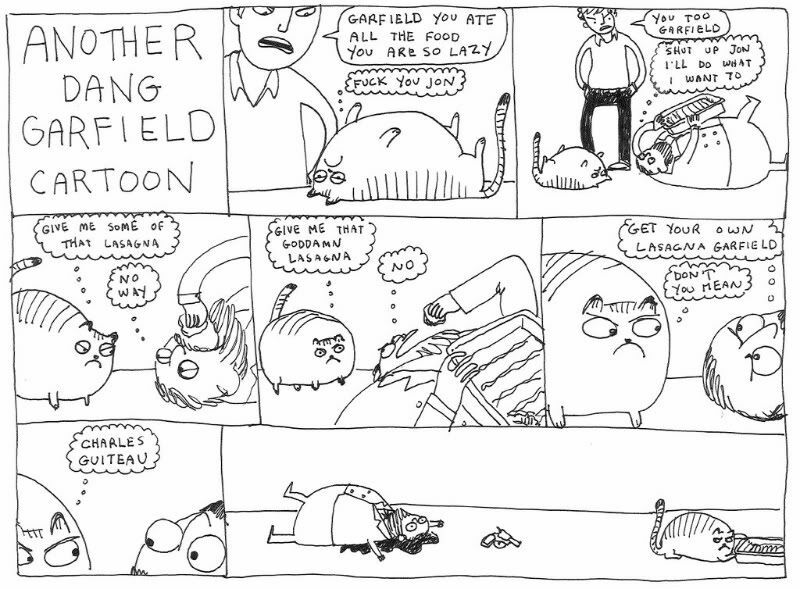 From Millard's page, I followed a link to a strip I had heard of and then forgotten about: Garfield Minus Garfield. Pretty straightforward: the guy takes all of the animals out of the Garfield strips, leaving you with a view into the lonely, mentally unstable life of bachelor Jon Arbuckle. Quite funny (and touching). This all reminds me of the now-defunct Dysfunctional Family Circus, which had to be taken down once it came to the attention of Bil Keane. Made me laugh a great deal back before the dot-com bust. 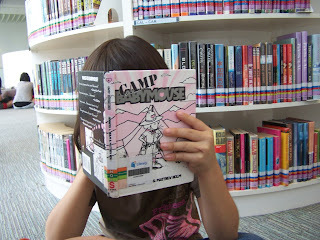 Joni and her 'Camp Babymouse' book. Whew! That's it! 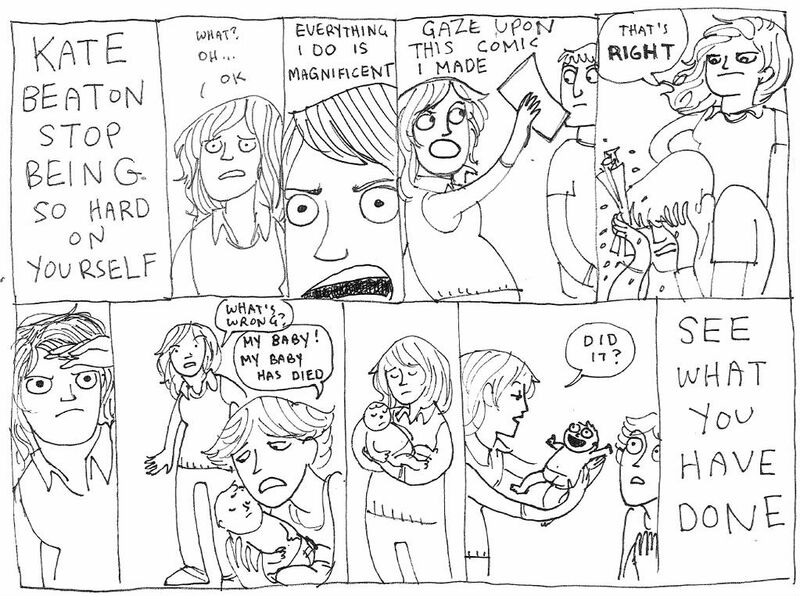 The entire run of Marty Gray. Sometime in the future, if I can figure out how to force Blogger to do it, I'll create a single page with all of these entries in chronological order. 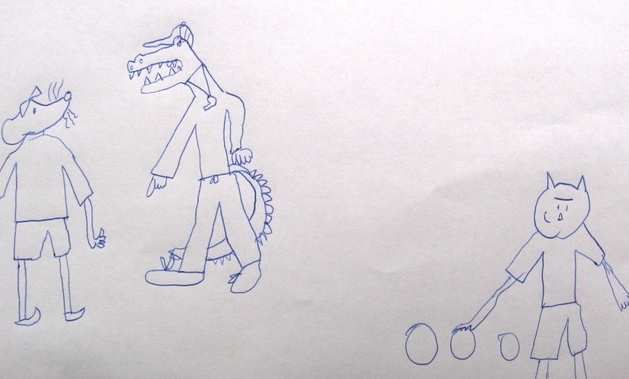 I just finally found illustrator Jarrett Krosoczka's blog, thanks to the Fuse #8 blogroll. Jarrett is a smart lad who takes pictures at events. I don't. So I immediately went to Jarrett's Web site right after the Texas Library Assn. 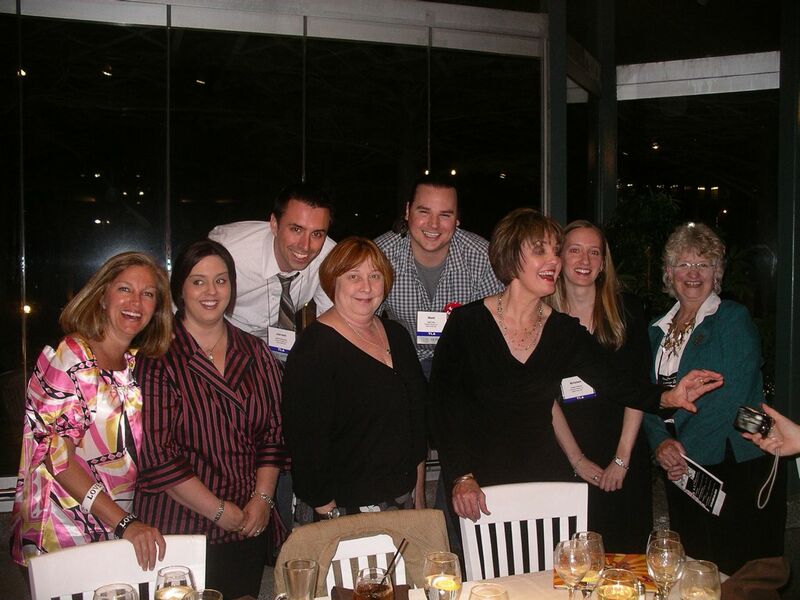 conference, of course, to find the pics ... but I was either too tired or too slow-witted to find the link to his blog. 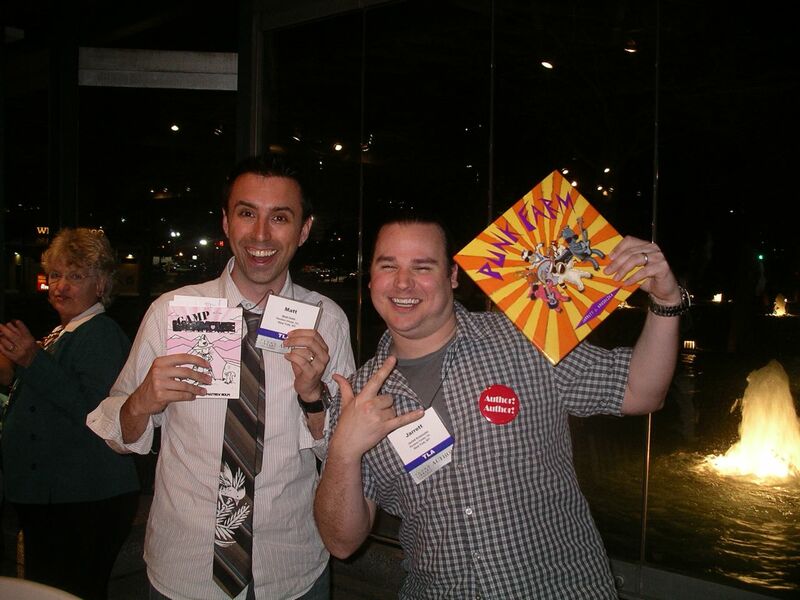 At any rate, Jarrett took photos of our TLA hijinks. Matt and I are going to retire from illustrating and start our own cruise ship for librarians where we entertain as lounge singers. Who's in?